Hi there on this stormy and grey day I want to share with you two little friends that I’ve been following for about two years now. They bring a smile to your face and sunshine in your hart. Olli and Jeujeu are the brainchildren of graphic designer Fleur Suijten. It all started with the idea of Olli and a stuffed version of Olli made by Fleur herself. 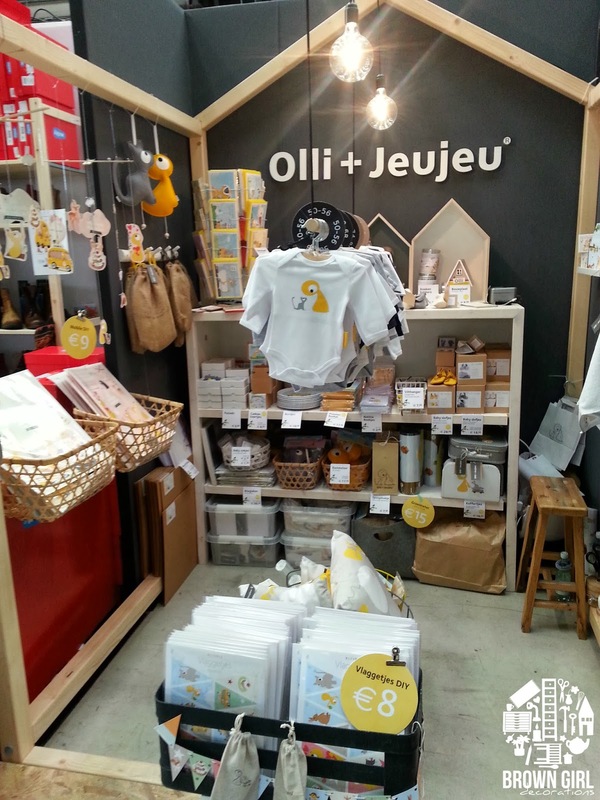 Now Olli and Jeujeu have a super cute range of lifestyle products for the little ones in your lives. From 100% organic cotton clothing to wall decals to postcards. These are some of my favourites. A few weeks ago during Flavourites Live I got to see Olli and Jeujeu in person and meet the lovely Fleur (that’s her in the photo above). She told me about their newest product, the paper bunting diy. There are two versions one for birthdays and one for a new baby. I had to get on as a gift for someone.